Well, we’ve got bumps but I don’t know if they are of the chicken variety. 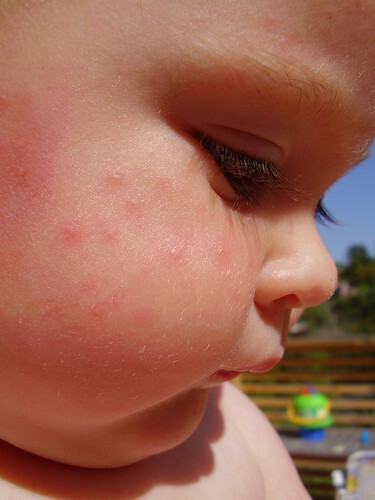 Anya has bumps on her face, where there is also a red rash, as well as bumps on her arms, legs and a few on her upper back. Her belly looks pretty clear and usually that’s where chicken pox start. They showed up yesterday and by all accounts should be forming into blisters today, but they are not. I’ve got to do some more research and figure out what they are. Maybe a mild case. Maybe something else all together. I just don’t know yet. Meanwhile, Lily looks fine, feels fine and seems to be totally healthy. Go figure.